but if it were me, I'd have gone asymmetric, and installed wider stripes off to one side. Last edited by bmxman; 05-25-2010 at 03:39 PM. Why won't this thread die!!! I really like the wheels! I'm not feelin' or diggin' that at all, but you enjoy. I'll stick to my pinstripes. 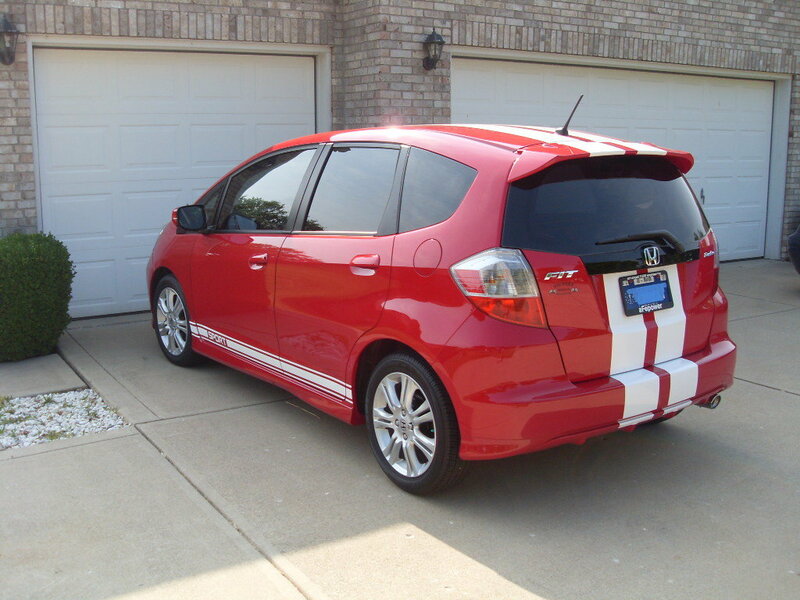 So, I want to put a racing stripe in my Blue Sensation Pearl Fit '09. OK, OK I know that's not a honda fit, but look at the colors! So in conclusion, I wanted the BLACK stripe to not add anymore colors to the outside (since it already has some black on the back). But then there's the silver stripe. Which one will look better on a fit? Remember I would do only ONE stripe, like the red fit on the pic, not two. Have you got a picture of the back of the red FIT?? To each is their own. If you like it that is all that matters. I love how everyone seems to have forgotten what "rice" is. Assuming, because this is a Honda Fit forum, that we all own one. 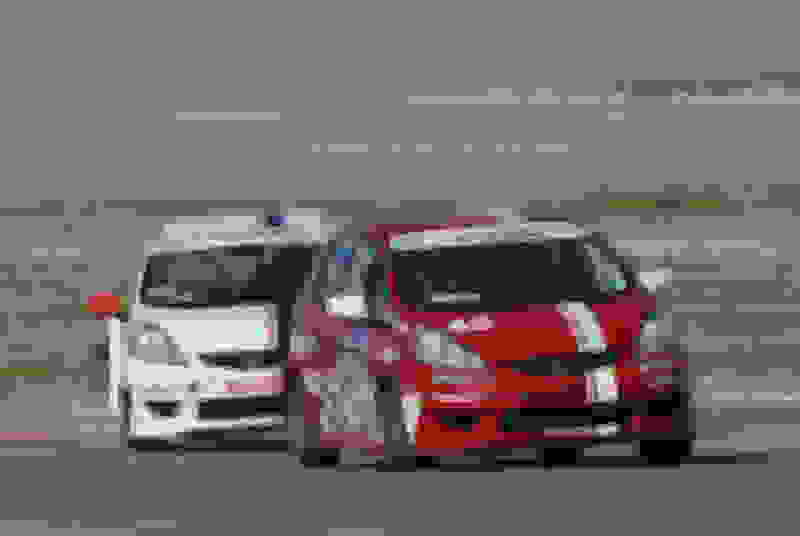 We are all in fact "Ricers" because we own a Japanese car! Soooo over everybody here! If you're not one of the members of the "Click", then your getting flamed for everything you do. If it wasn't for this being one of the best sources of information for the Fit, I probably wouldn't be here at all. Anyway... Looks clean dude! And I totally get the turbo emblem lol Good stuff! I ended up selling my Red Fit to an Asian girl who was buying her first car. She had it for two weeks. Someone ran a red light in Indianapolis and T-boned her and the car totalling it out. She was unhurt thankfully. The only Honda Fit I ever saw with stripes like this. I loved the little car. I now have a 2015 FIT, and am thinking about striping it the same way. Graphics have gotten a LOT more expensive in the last 5 years!!! I ended up selling my Red Fit to an Asian girl who was buying her first car. She had it for two weeks. Someone ran a red light in Indianapolis and T-boned her and the car totalling it out. She was unhurt thankfully. 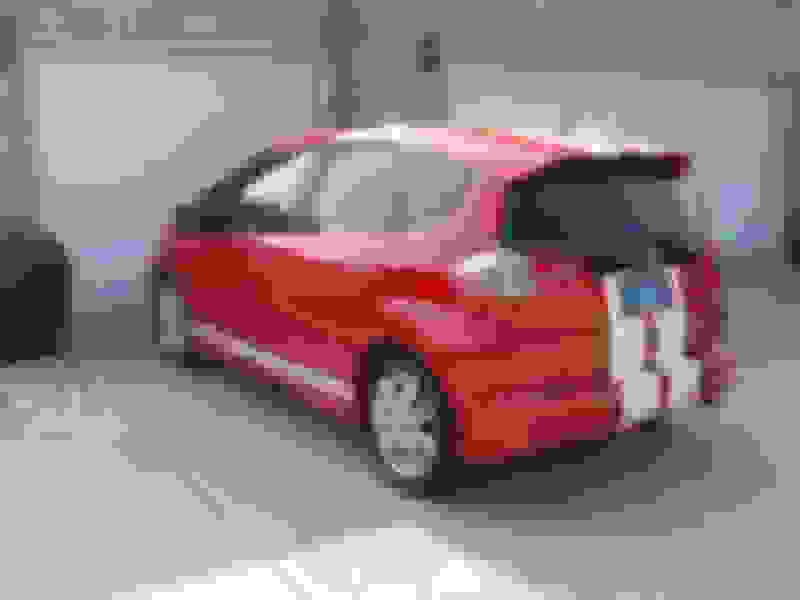 The only Honda Fit I ever saw with stripes like this. I loved the little car. I now have a 2015 FIT, and am thinking about striping it the same way. Graphics have gotten a LOT more expensive in the last 5 years!! !